Our language gives so much away. What we say, and our body language as we say it, give us an insightful picture of what is really going on in our minds and our bodies. We say things like, “My heart’s not in this” or “I wished I’d followed my heart”. It’s becoming clear that our neurology, and sentience of the world around us, is not just limited to our head and the five classical senses of sight, sound, smell, taste and touch. Our gut senses danger and also informs us if something is a good idea or not. Our heart feels too. It can be broken, it can feel luke warm about something or positively glowing and besotted with a person, a situation or an idea. What neuroscientists are just discovering has been known by the ancients for thousands of years. We have active mind centres all over our body. The seven primary centres are sometimes referred to as our chakras. Most people are unaware of them and their function but everyone has experienced imbalances and blockages in them at sometime or other. One of the most powerful is the heart chakra – and like all other points, it emits an energy field which can be picked up by others. The field naturally beams out in a spiral in front and behind us. It both emits and receives love. When we take it under conscious control, we can perform amazing feats which may seem a bit like magic. We can heal with it, we can soften tense situations, we can also use it to both locate and attract our our soul mate. 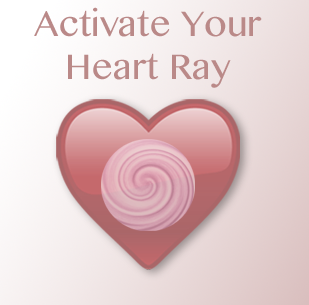 Find out how to activate your heart ray to resonate with, and attract, your perfect soul mate. It also works for finding that perfect job, ideal customers and the home of your dreams. Until the end of February, listen to it free along with a free bonus visualisation to help you soften tense situations. Note, that I am passionate about data privacy, so your email will not be shared with any third parties.